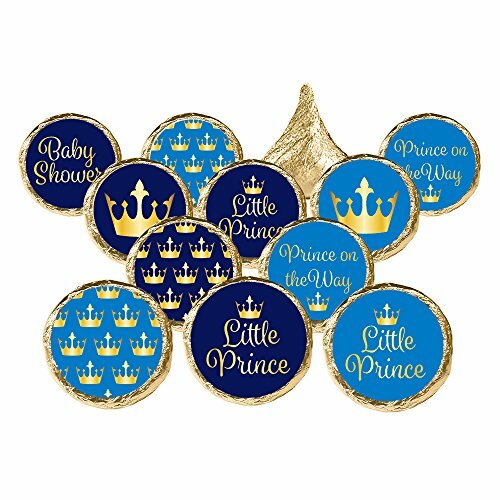 Order includes 324 count - blue and gold royal little prince baby shower stickers. 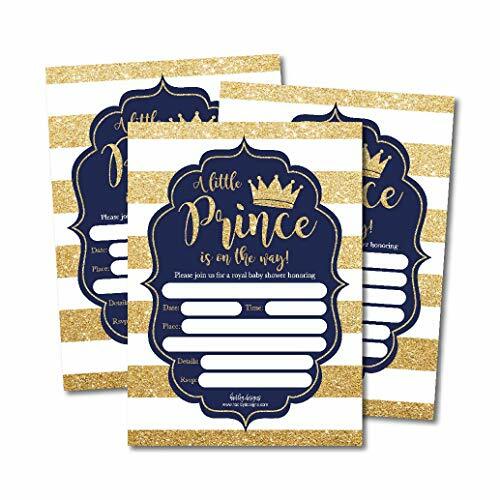 Use these self-adhesive labels on Hershey's Kisses candy or boy baby shower invitation envelopes as seals. Order includes all 9 designs pictured. 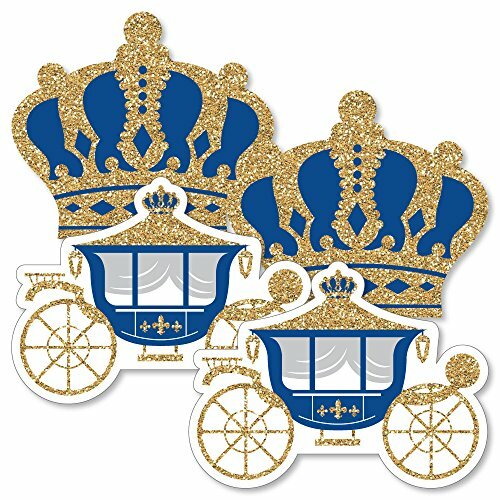 These decorative stickers are easy to peel and stick to most small candy wrappers for fast and glitzy birthday party favors. Candy and other accessories not included. Always faux glitter - for the glittery look without the mess of actual glitter. Distinctivs products are proudly Made in the USA. 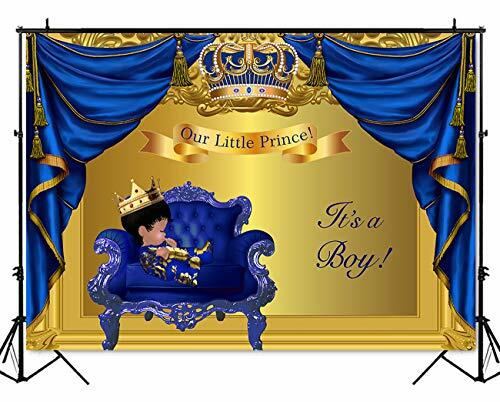 Bring your party theme to all areas of the celebration with Royal Prince Charming Baby Shower or Birthday Party Table Toppers. 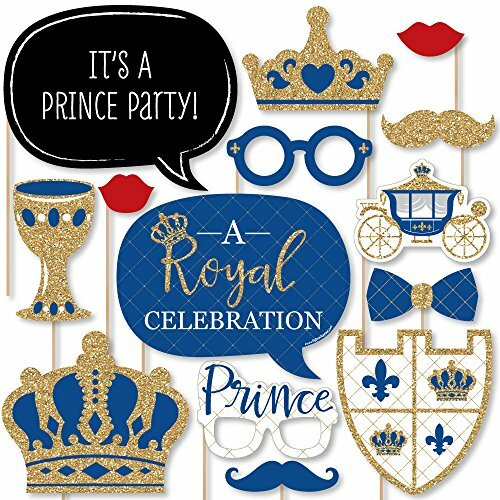 Each heavy-duty card stock paper cutout quickly attaches to the included wooden dowels to create centerpiece sticks that can be used in vases or floral arrangements at all your party tables. You can even add them to candy jars at your goodie table! 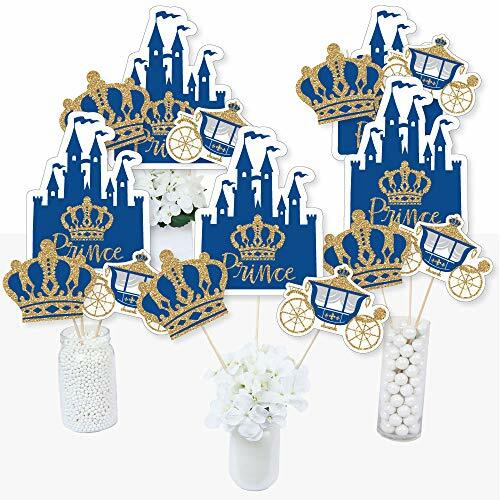 Royal Prince Charming centerpiece sticks may also be used as photo booth props. 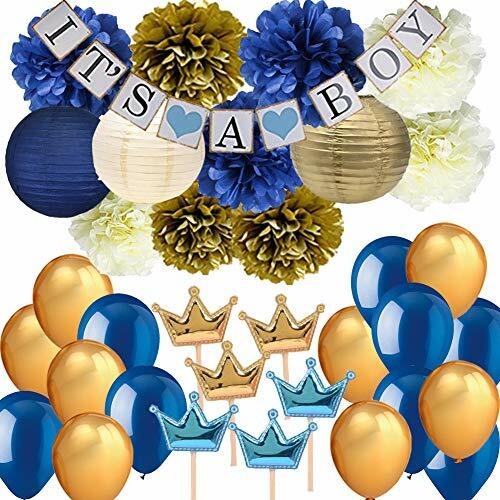 You will love how versatile this fun party supply is while your guests will adore seeing them throughout your party venue. 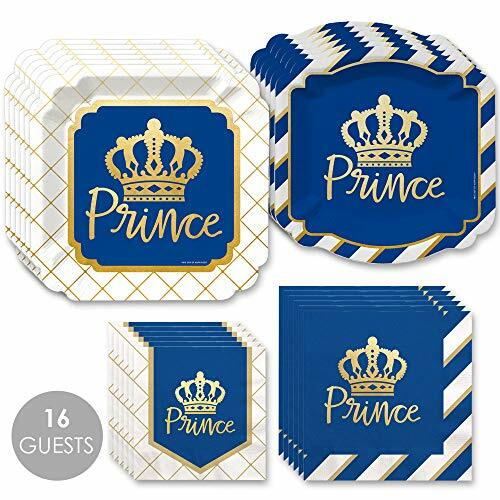 Get creative with this set of 15 table toppers and have the truly YOU-nique celebration.